On March 7 2019 the SmarterLabs team presented the project outcomes including guidelines for "smarter" Living Labs. During almost three years, action research experiments took place in Living Labs in four cities. Researchers, practitioners, politicians, civil servants and citizens engaged in participation processes and learned from each other. The SmarterLabs team had a look into these processes and analysed them with regards to potential barriers to successful outcomes. The focus was put on two often observed challenges in Living Labs: upscaling and social inclusion (read more about the objectives of the SmarterLabs project here). Finally, the SmarterLabs project not only identified common barriers, but developed anticipation strategies to address them or completely avoid them in the first place. What stands at the end is a "practitioners brief" - guidelines on how to best set up and facilitate a Living Lab. These are complemented by a "policy brief" in the shape of a short video which introduces the concept of a Living Lab. 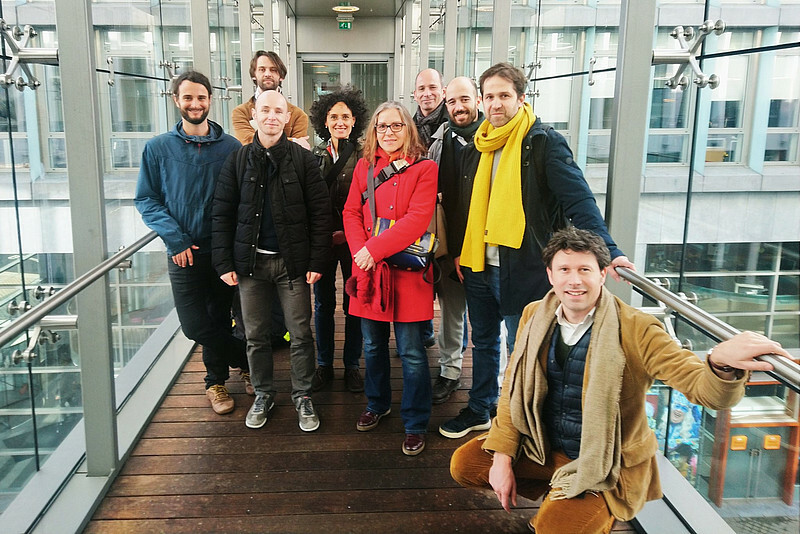 The final conference was co-organized with platform31, which made it possible to connect SmarterLabs to three other projects, which also dedicated their work towards the challenge of upscaling inclusive urban experiments. State-of-the art findings of four different research consortia were brought together: SmarterLabs, Smart Cycling Futures, R-Link and Mobiele Stad. They shared experiences from the cities of Brussels, Bellinzona, Graz, Maastricht, Utrecht, Zwolle, Groningen and Den Bosch. Based on these experiences the participants reflected on the SmarterLabs guidelines; the overall conclusion was that they are a useful tool for practitioners to solve common challenges in Living Labs. Another highlight of the conference was a keynote speech by Jos van den Broek on learnings from experiments in various areas such as water management, agriculture and developmental aid. Outcomes of the SmarterLabs project can be downloaded. From November 7th to 9th the fifth project meeting including a dissemination workshop took place in Santander. From May 30th to June 1st the fourth project meeting including a dissemination workshop took place in Istanbul.